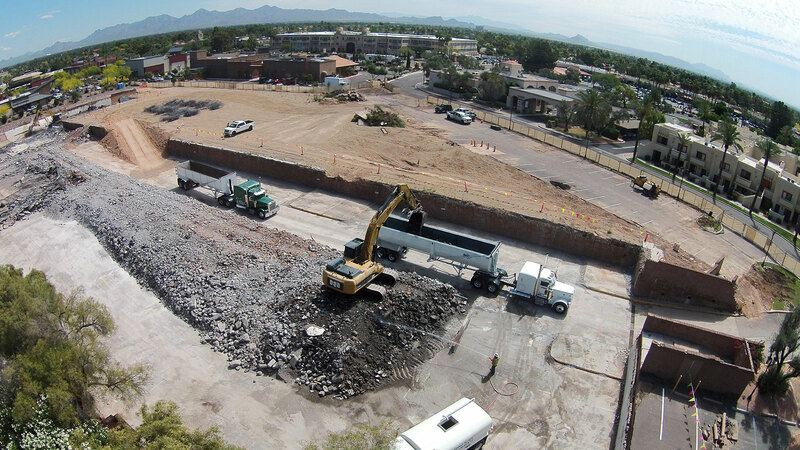 The Borgata Garage demolition consisted of the complete removal of the basement garage structure while maintaining a manageable slope and site around live facilities and restaurants in a very busy part of Scottsdale. This project was challenging for a variety of reasons, the largest challenge we encountered was the access to and from the jobsite. We had hundreds of loads of inert material to truck out onto very busy congested streets. 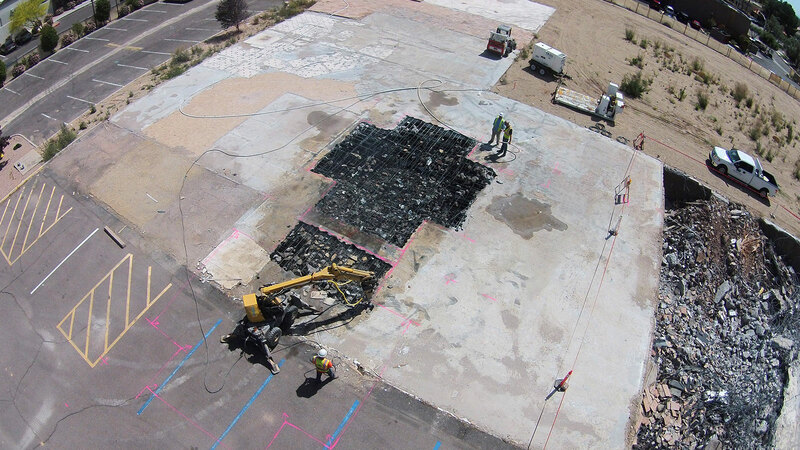 Another challenge we had was the live underground utilities feeding the adjacent properties. We finished this project with zero incidents.